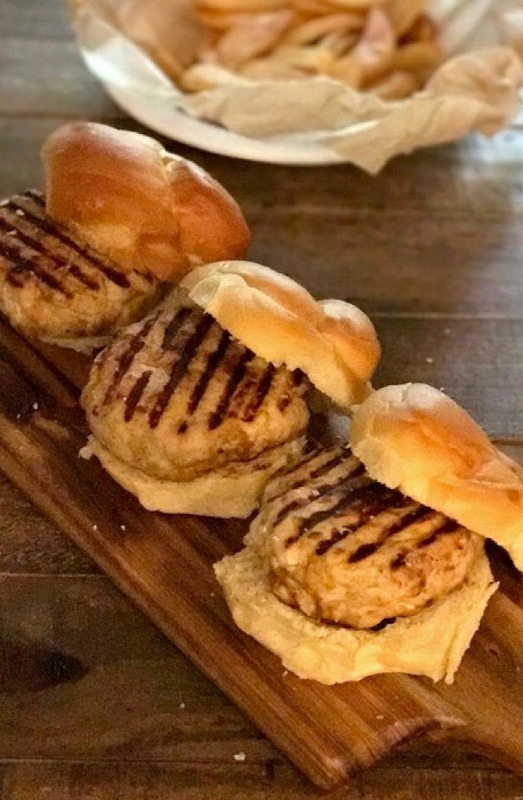 Tasty and Juicy All White Meat Turkey Burgers – These turkey burgers are nice and juicy with a whole lot of flavor. Make some for your family and enjoy every last bite! Burgers are my sons favorite meal. He can eat them for breakfast that’s how much he likes them. He has as a matter of fact. whenever there is a leftover of any burger or meatloaf in the house from the night before, that’s what he wants for breakfast the next day. Anyway, that’s what got me to try to make a great turkey burger. The one thing that I thought might be a problem was going to be using all white meat turkey. You are probably thinking why not use the mixed turkey meat. Well, the reason I didn’t want to use that is because the fat content is just way up there. I would rather use the all white meat turkey and add a healthy fat instead. So, that’s what I did along with other really good ingredients for the most delicious and juicy burger. White meat turkey is very bland so it needs lots of seasonings. It does not have to be spicy just tasty. A must to make at home for your family, my whole family loved these and my son gave me the thumbs up and said it was fantastic! Thanks Josh! 3/4 tsp turmeric powder, love it for other uses too! Rinse meat in cold water and pat dry. place in large ceramic or glass mixing bowl. Add in all ingredients and with a fork, mix in. 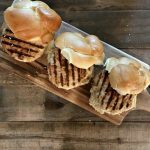 Have a large nonstick grill pan sprayed with cooking spray or outdoor grill hot. Place patties on hot pan. Let cook until you see them start to char on the bottom, about 5 minutes. Turn over and let cook until the other side is charred. Juices should run clear and read 165 degrees internal temperature. If needed, place burgers in oven to make sure they are cooked through. Enjoy with your favorite toppings and side dishes, we love baked fries and corn on the cob. 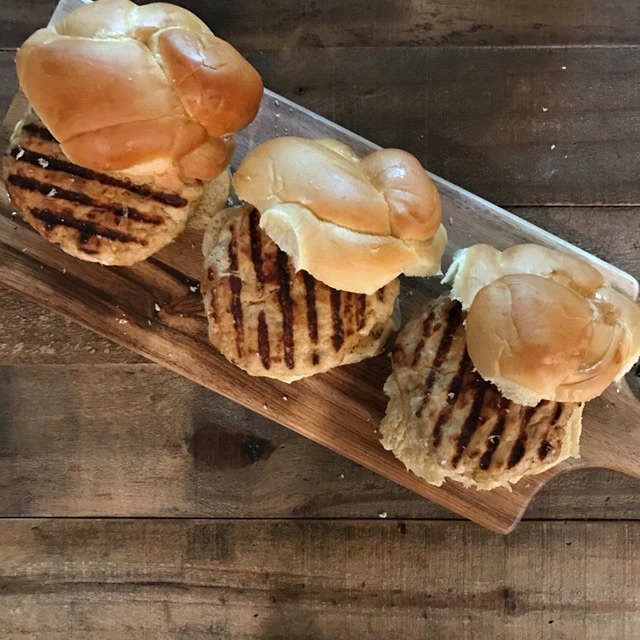 These turkey burgers are nice and juicy with a whole lot of flavor. Make some for your family and enjoy every last bite! 1.Rinse meat in cold water and pat dry. place in large ceramic or glass mixing bowl. Add in all ingredients and with a fork, mix in. 3.Have a large nonstick grill pan sprayed with cooking spray or outdoor grill hot. 4.Place patties on hot pan. Let cook until you see them start to char on the bottom, about 5 minutes. Turn over and let cook until the other side is charred. Juices should run clear and read 165 degrees internal temperature. If needed, place burgers in oven to make sure they are cooked through. Enjoy!